It's as intrinsically human as opposable thumbs! Save money when shopping online, visit Coupon croc for the latest discount codes and vouchers. You can really see that Phobos, which is probably a gravitationally captured pile of asteroid rubble, is not very big. With a radius of roughly 7 miles, it isn’t large enough for its own gravity to have formed it into a more perfect sphere. FWIW: I watched a transit of Venus about 6 years ago, and it was a dot because it’s so far away. Nothing like this. I had a little bit of fun with a spreadsheet. If you plug in orbital distances, and diameters, you find that the Moon appears to be between 0.91 and 1.05 times the diameter of the Sun. If they line up in the same plane (which doesn’t happen that often), there will be a total eclipse if that value is greater than one, and an annular one if it is less than one. If you do the same for Mars and Phobos, you find that Phobos appears to have a diameter 0.84 to 1.05 times the size of the Sun. I have no idea how often Phobos is in the right plane for eclipses, but this means that annular eclipses like this should be relatively more common than total eclipses on Mars. Also, I had no idea that Phobos would appear to be so large from the surface of Mars. It’s really little but also really close to the surface. Combine small with close, and it would not be quite as big as our full Moon, but it would be moving really fast: horizon to horizon in no more than 3 hours, and rising twice on some nights. That’s a creepy effect for some Martian movie of the future: a small, dim, oblong, tumbling moon that’s going fast enough to be visibly in motion. Take that Matt Damon. In class I refer to the U.S. healthcare system as a Frankenstein monster: every time something doesn’t work properly, we add something new that usually doesn’t work properly either. It’s not perfect or completely unbiased, but this is the best quick-read summary of all the issues that I’ve ever seen. Maybe you don’t use multi-level lists. This is Word’s name for something that’s in an outline format: you know, maybe a roman numeral for sections, then a capital letter for subsections that are indented, and so on. Do note that I’m talking about something that you are creating in your document. I am not talking about Word’s Outline View (which is a convenient thing in and of itself). This is one area of Word where I find it incredibly useful that, when WordPerfect started its long death march, Word incorporating every power user’s favorite feature of WordPerfect: reveal styles (known as Reveal Formatting in Word). In Word, you click Shift+F1 to get this. Do note that the information gathered for this tool is not saved when your close Word, so it can take some time to regenerate the first time you use it after re-opening your document. What opens up is a panel to the side of your document that can show all the styles that apply to the particular part of your document that you’ve highlighted. And there are a bunch: everything you see has font styles, paragraph styles, and maybe even section, bullet, numbering, and other styles. Who-hoo. When all else fails, and you can’t figure out why what you’re looking at won’t look like how you want it to be, open that Reveal Styles panel. Your problem is in there. And near as I can figure, “when all else fails” is going to happen a lot when you have multi-level lists. Hold those thoughts for a bit. Here’s the (double) tip: do include anything between the outline letters in the setup for the list, but do not include anything after the last level in the setup (whether it’s a letter or number). The reason for doing it this way is that any time you want to cross-reference those headings, what shows up in the cross-reference is whatever is in the setup only. It looks pretty cool if in your body you refer the reader to Subsection II.C, but if you refer them to II.C: it just looks weird. Especially if in the former you can add a period if you want to, but in the latter you can’t just delete the colon because it’s already baked-in at the point where you defined the multi-level list. This raises another hobgoblin though. If you’re using, say, a colon as I did above, what you really have is an outline entry that was created automatically, followed by the outline entry itself. But now the beginning of your entry is a colon. Not surprisingly, if you begin an entry with a colon or other character it’s going to set off the grammar check. Those will each need to be corrected by hand. I have not found an easier solution for that. But, what’s the setup you may well ask? I was pretty much lost writing the first draft of my book about 5 years ago until I found her (rather long) post on this. The “setup” is contained in the Define New List Style dialog window that opens when you click this button (not that one). Chops to Ms. Kelly, because when I ran into more problems with multi-level lists revising that book, and I went looking for help … hers was still one of the stop sites, and definitely the most helpful. Oh, did I mention that you may or may not want to include words like Chapter, Section, or Subsection in the setup? It really depends on whether you want them to show up in cross-references automatically or not. Again, do you want your reference to say II B or Section II B? I prefer the latter, but if you do, bake it into that Define New List Style dialog. There’s one more bit of weirdness that I picked up from this site. When you run into a problem with a multi-level list, you’re going to be looking for a tool to edit a multi-level list, right? Not so. Instead, you follow Shauna’s advice to click this button (not that one). But this takes you to the Define New List Style dialog window. And yet you want to edit an existing list style. Silly you for wanting too much. Microsoft does both the defining and editing through the same dialog. So you’re in the right place, but the name is wrong. Live with it. Actually, I’m at a loss for words about how to even explain someone like this. Check out his Wikipedia page, and keep in mind that this guy was never accused of being a gadfly, but rather someone who made significant contributions. Don’t badmouth: Assign responsibility, not blame. Say nothing of another you wouldn’t say to him. Never assume the motives of others are, to them, less noble than yours are to you. Expand your sense of the possible. Concern yourself with what is right rather than who is right. Avoid the pursuit of happiness. Seek to define your mission and pursue that. Reduce your use of the first personal pronoun. Praise at least as often as you disparage. Become less suspicious of joy. “Balls of lightning roll along.” (I love that visual). † Truth be told, I’m still a registered Republican. But the most significant use I’ve ever made of that was going to my local caucus in 2016 and voting against Trump. ‡ A few minutes before hearing the news, I’d followed Tyler Cowen’s link to Micah Meadowcroft who summarized the non-faith of Jordan Peterson: “No one has come to save you; you have to save yourself.” I think JPB would have agreed. Umm … North Korea negotiated directly with South Korea for access to the Winter Olympic Games, which start in less than 24 hours. For those not paying attention, it’s been years since the two talked amongst themselves. For close to 25 years, North Korea has been insisting on 6 country talks. The other 4 countries are the U.S., China, Japan, and Russia. Just for perspective, that’s pretty much the poorest place on the globe demanding talks with the 3 biggest economies, a military superpower, and its more successful sibling. This is the local neighborhood equivalent of a guy who won’t let his wife and kids be seen outside the house, and who fires guns in the general direction of the neighbors, demanding that the mayor, the chief of police, the judge, and the town doctor come negotiate with him. Outside of international diplomacy, no one would have the time for that sort of nonsense. Hmmm. We’re a year into the Trump administration. While North Korea’s brinksmanship has been hair-raising, it’s hard to call these developments anything other than a qualified success. The most unexpected result of this study, though, was that the more positive results found for compassion had important methodological flaws. † FWIW: I have meditated, using breath counting, since the late 1970’s. I am, and will continue to be, a modest and occasional advocate. For me, it has helped me relax when I’m restless, and I have been able to sometimes control migraine pain with it. If I blogged about every Grateful Dead release I liked, I wouldn’t get anything else done. I acquired this one in 1983 when I still lived in the Buffalo suburbs (second set only, of course). Twenty years later I found the first set on Archive.org. I rarely met anyone else who knew about it. For my part, it may not be the best “Scarlet Begonias” ever, but Jerry’s solo from the 2:45 to the 4:30 mark is the best of them all (it was my ringtone for a long time). When the vXyoungman (who is now a music major) was still the vXboy, that’s the thing I played for him to understand how improvising over chord changes worked. The first verse is good, but the second one starting around the 3:30 mark is excellent, and then the one starting around the 4:00 mark is ridiculous. The “Truckin’” is also just off the wall. And yesterday I listened closely to “Wharf Rat”, not one of my favorite songs, and heard the similar sublime moments. P.S. I have my fingers crossed that they someday release Broome ‘83. To my knowledge, this was the first show where the audience sang “Not Fade Away” from the moment they left the stage to when they came back for an encore ten minutes later. † The Dave’s Picks series is only available by subscription. If you want a copy, you’re going to have to wait until they start showing up on eBay. ‡ The Dead were known for scattering their performances around. Just in upstate New York, off the top of my head I know they played 5 places in Buffalo, 4 in Rochester, 2 in Syracuse, Alfred, Cornell, Colgate, RPI, Cortland, Delhi, 2 in Binghamton, Watkins Glen, Utica, Glenns Falls, Lake Placid, SPAC, and this was before I moved away and missed out on the shows at the Knick. Many of those they played more than once. One thing I am super glad about is that Frank Reich got a (winning) Super Bowl ring, as offensive coordinator for the Eagles. Frank Reich was the backup when the Bills lost 4 Super Bowls in a row, and he played a majority of Super Bowl XXVII. Frank Reich is the answer to a fairly common football trivia question: what quarterback led the biggest comeback in both college football and the NFL? (Do note that it’s now the second biggest college football comeback). Yes, this is a navel-gazing appreciation from a Bills fan. We didn’t know Reich was any good either. Then Kelly went down for 3 weeks early in the 1989 season. Reich had played a few downs in 1985 (pre-Kelly) and 1986. Then he had gotten no snaps at all for 2 straight seasons. And he got the start on Monday Night Football against the top team in the league, the Los Angeles Rams. He won. In a comeback during the 2 minute warning. Then he won 2 more games. And went back to the bench. The Bills flamed out that year, losing 3 of the last 4, and their playoff game to a dropped touchdown in the last minute. It was clear to everyone by mid-October that 1990 might be the Bills year. Many people forget that the Bills went to the Meadowlands and beat the Giants before the Super Bowl. The Bills also knocked out Phil Simms for the season. Funny that: the Giants knocked out Jim Kelly for a few weeks later in that quarter. In came Frank Reich for about 40 minutes to preserve the lead. The next week was against Miami in Buffalo, for both the division title and the number one seed in the AFC playoffs. I was there. No one had any doubts. Reich won by 10 points, and it wasn’t that close. Reich got a losing ring that year. Another year of mop-up duty followed, and Reich got another losing ring. The Bills started showing signs of coaching weakness in 1992. Reich did backup until the final game. The Bills and Oilers had a heated rivalry at the time, and Kelly was injured in the final game, and the Bills ended up as a wild card. The next week they played … the Oilers. The Oilers had won the previous week 27-0, and got up 35-3 on the Bills halfway through the third quarter. Then Reich led 4 touchdown drives in 7 minutes. The Bills came coming, and won the game with a 5th Reich-led touchdown drive a quarter later. People forget that Reich started the next game too. The wild card Bills went to Three Rivers Stadium to play the top seeded Steelers (who had already beaten the Kelly-led Bills in mid-season). Reich beat them too, 24-3. People also forget that Reich played most of Super Bowl XXVII. The Cowboys knocked out Kelly in the second quarter. That was the blowout game, when the Bills had 9 turnovers. The Bills were losing the game 14-7 and the turnover battle 3-0 when Reich came in. And you know what? There was hope for the Bills. Yes, I was an optimist, but I made the point towards the end of the third quarter that if you’re winning the turnover battle 5-0 and your only up by 2 touchdowns on a top team … you might be in more trouble than you guess. Maybe the Cowboys needed those 4 more turnovers. If it helps to get your mind on this, the Bills fumbled 9 times and recovered 4 of them. Do ya’ think they thought they were jinxed? He went back to the bench for 1993, and played in a few games in 1994 too. In 1994, Reich went in the expansion draft, and became the Carolina Panthers first starting quarterback. He didn’t last too long, had an OK season with the Jets, and closed out his career with the Lions. I am not a Patriots fan. I am not a Tom Brady fan. Heck, I haven’t been a football fan since the 20th century. But everyone watches the Super Bowl, right? Plus, I grew up a Buffalo Bills fan. The Patiots were the also-ran’s of their divisions for most of their first 40 years. They never won anything because … the Patriots sucked. There didn’t need to be another reason. But I’m rooting for Brady today. And the Patriots. All because of this nonsense over Brady’s 11 year old son kissing him on the lips. To me, this is the worst case of over-the-line, infantile trolling, that I’ve yet come across. It’s completely uncalled for, clueless about being a father, clueless about being a son … even clueless about kissing on the lips. Objecting to it is projection of a rather depraved sort. 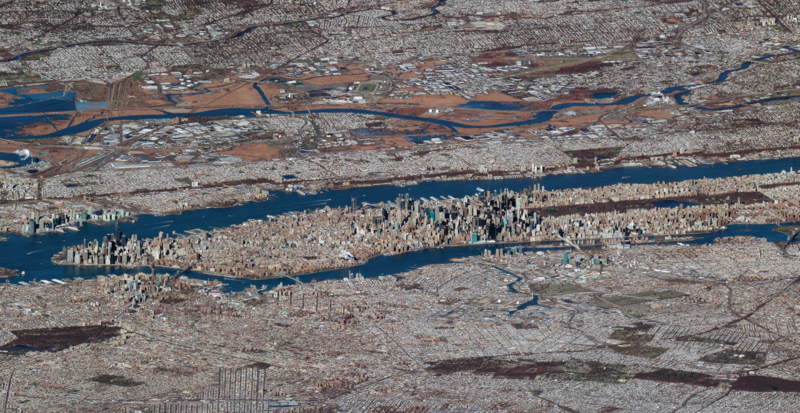 Yes, these are satellite images. A larger version of this can be saved from this page. With the development of internet technology, work at home jobs are increasing in the market. Also setting up small business online with ones own bank savings can provide excellent work at home opportunities. Apart from savings, banks offer0 credit card to cater to short term finance needs. Partial tax payments like tax credits are also available to promote online businesses. Market now offers several alternatives to traditional credit card debt which are helpful to work at home businesses. News discussion community. The forum and news website made especially so that users can comment about current events and talk about the news with other people.